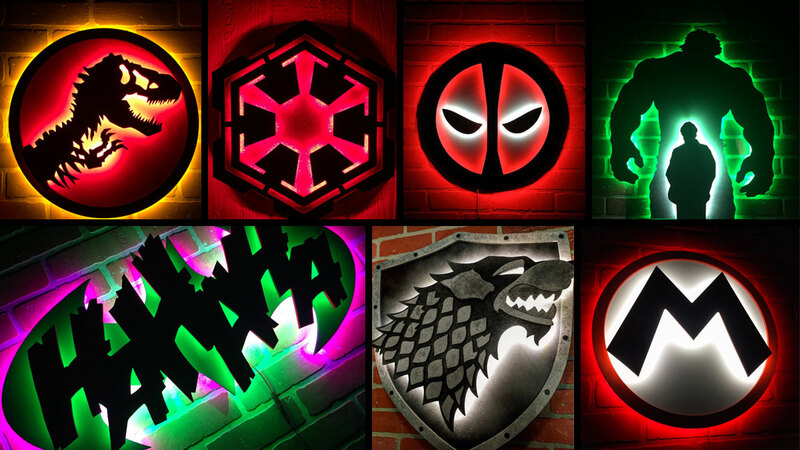 Dave Hammett goes way beyond the Bat-Signal with his Rock Yur Wall LED wall and desktop art. 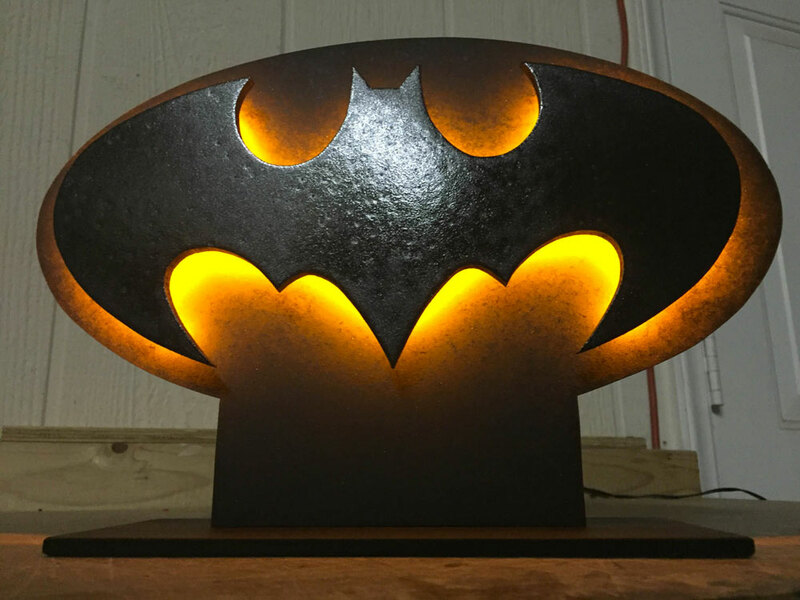 The illuminated pieces are handmade from reclaimed wood. Hammett custom builds them to order, adding LED accent lighting he says creates a look that is "rustic but with a touch of modernization." 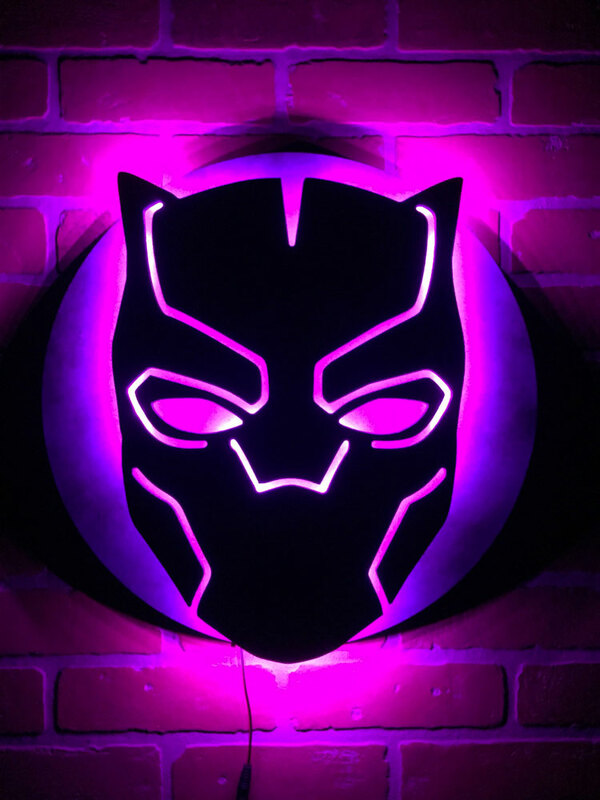 Hammett's current Rock Yur Wall illuminated art gallery includes superhero and comic book works, gaming and sci-fi designs, and sports team pieces. The hanging LED art comes ready for wall mounting, with a power cord that plugs into any standard outlet. 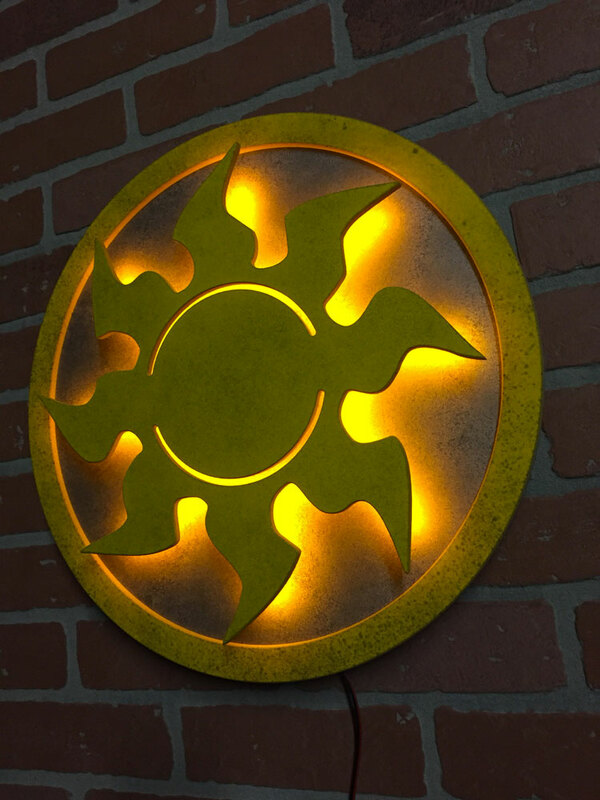 Hammett also makes a series of LED tabletop nightlights with the same standout aesthetic as his Rock Yur Wall art.